FK Lowry have successfully delivered a 3-week Continuous Flight Auger (CFA) Piling Project for Principal Contractor, Sir Robert McAlpine at Newcastle Universities, Helix Project. Newcastle Helix is Newcastle's £350 million flagship project bringing together academia, the public sector, communities, business and industry and aim to create a global centre for urban innovation in the heart of the city. The scheme is being developed by Newcastle Helix together with Newcastle City Council & Legal & General. FK Lowry were subcontracted to design and install 127 No. 600mm Dia. & 750mm Dia. CFA Bearing Piles to carry axial loads of up to 2500kN and 3000kN respectively to depths in the regions of 11m to 14m. Ground conditions on the project could be described as Made Ground overlying bands of weak weathered Mudstone, moderately strong Sandstone and Siltstones at depth. 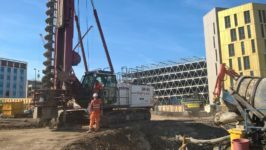 FK Lowry have now undertaken several Education related schemes across the UK ranging from Science Centres, Universities and Student Accommodation Schemes. 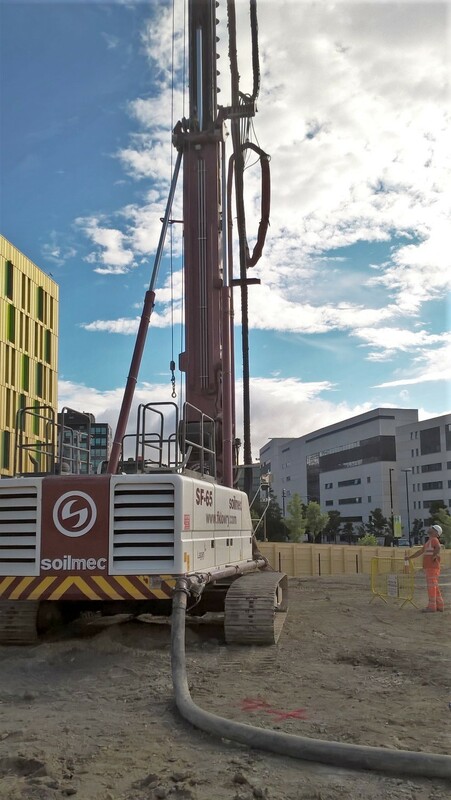 We were delighted to have the opportunity to work with Sir Robert McAlpine on this most prestigious project in the City Centre of Newcastle and we deployed one of our Soilmec SF-65 CFA Piling Rigs to undertake the piling. 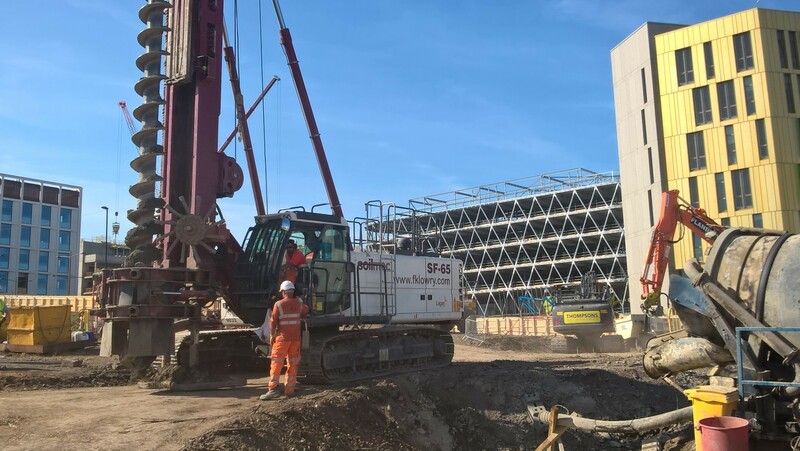 The rig has an operating weight of just 55t and is well suited to urban conditions as it is relatively light, can utilise diameters up to 900mm and comes with the latest Tier IV engine technology that adheres to low emission standards. 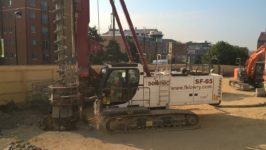 We were pleased with the performance of the Piling Rig and we completed the scheme Safely, too programme and too budget.